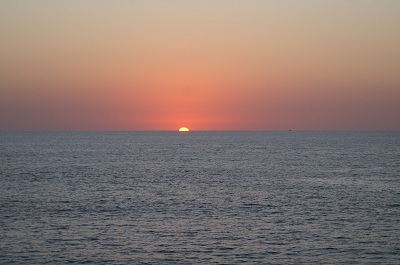 I just returned from my annual trip to Mazatlán for the Gran Fiesta Amigos de Mazatlán celebration. Once a year, Mazatlán invites travel partners, tour operators, travel agents, airlines and a plenty of international media to enjoy all that is Mazatlán. And, once again, it was a fantastic trip. Like fine wine, some things get better with age…. And so it is with Mazatlán. It has grown into its own over time to become not only a prosperous resort, but a model of traditional character and personality. I think for most of us, Mazatlán was a frequently heard name as a Mecca for spring breakers, but having had the chance to discover its real treasures, I can tell you the offerings reach far deeper than that. Mazatlán (and Mexico in general) are undoubtedly battling fierce bad press in the last couple of years, but the Mexico Hotel Association and the Tourism Board for the State of Sinaloa have taken enormous strides to keep things on track. (And I think they have done a great job.) At this year’s event, keynote speaker Peter Yesawich (President of YPartnership, America’s leading marketing, and advertising and public relations agency serving travel, leisure, hospitality and entertainment clients) discussed the future of travel and how emerging trends will impact Mazatlan and Mexico as a whole. It was a very positive (yet realistic) view of what it will take to keep Mexico moving forward during these difficult times. He targeted the importance of quality websites for the hotels and destinations, as well as keeping focused on the positive aspects of traveling to Mexico, i.e. proximity to the U.S. and the incredible value it represents right now for both families and couples. 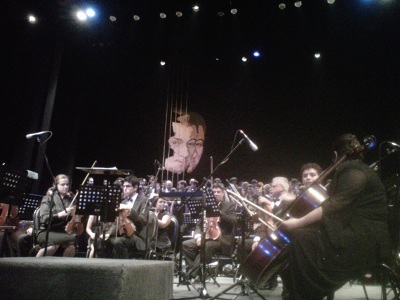 We were also treated to wonderful concert, Mozart’s “Requiem,” at the Angela Peralta Theater on Dia de Los Muertos (Day of the Dead) and joined in the local festivities before joining the governor of the state of Sinaloa, Mario López Valdez (Malova), for the Golden Deer Awards Dinner. There were multiple groups of journalists on different schedules and we all managed to enjoy the very best the city has to offer. Once you have had a taste of the laid back, affordable charm of Mazatlán, you will know why it’s always been an immutable favorite. Mazatlán isn’t a manufactured resort community like some of its counterparts; it is “real” Mexico. The city is steeped in history …The Spanish began to establish settlements after gold and silver were discovered in the nearby Sierra foothills. From there, Colonial-era coastal development began to prosper and the port of Mazatlán served as both an export hub and provision station for the Spanish Galleons returning from Asia with spices, silks and other exotic goods. The result: a cultural and historical gold mine. Most visitors will spend their time in the Zona Dorada or Golden Zone. Here small hotels and a few chain resorts are neighbors along an extensive stretch of sandy beach with rolling surf very similar to that in Southern California. The layout of the resort zone keeps things simple for tourists and makes almost the entire area accessible by foot. And though you may want to spend your days soaking up the sunshine and frolicking on the beach (keep in mind that Mazatlán is less humid than tropical resorts further south), be sure to experience the real beauty of the destination … the historical downtown. 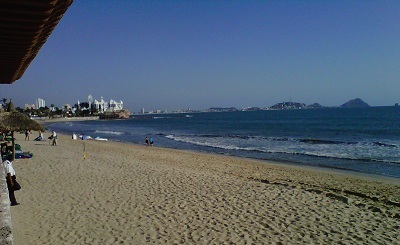 For great info on Mazatlan check out the CountdowntoMexico blog. Nancy Dardarian and her husband moved to Mazatlan in 2007 and continue to post on all the Mazatlan happenings and everything you need to know. She recently posted a great article (with awesome photos!) about Mazatlan’s downtown. Mazatlán is a special place for those who take the time to know it well, to understand its hidden treasures and to enjoy the genuine warmth and kindness of its people. It is indeed still thriving and always among my favorite spots in Mexico. Viva Mazatlan! it is really becoming one of my favorite destinations in Mexico…I love each and every trip I take there. And yes, when you visit, the charm is in Old Town, you must spend an evening down town. I am in Mazatlan right now and am enjoying every moment.There has been no sign of anything dangerous as the media states, it is a shame media has so much power. What a awesome place.